Having to fetch balls off the school roof and sorting out a rogue bull is not usually the work of a primary school principal. But for Karen Goodall of Wainuioru School, nothing comes as a surprise during her work day. Yesterday, she and other school staff met with representatives from the New Zealand Educational Institute who are campaigning for better government funding in schools. Though Miss Goodall is no bullfighter, she can tick off the job of calming a bull in the rural school paddock — working at a small rural school can be very different from a larger urban one, she said. “But your costs are spread out among fewer kids, so there are things that just cost more per student — it means the kids miss out,” she said. “You want things that enhance kids’ learning in school . . . when we go through the bills every month, I look at it all and there’s not much that is actually for kids’ learning. 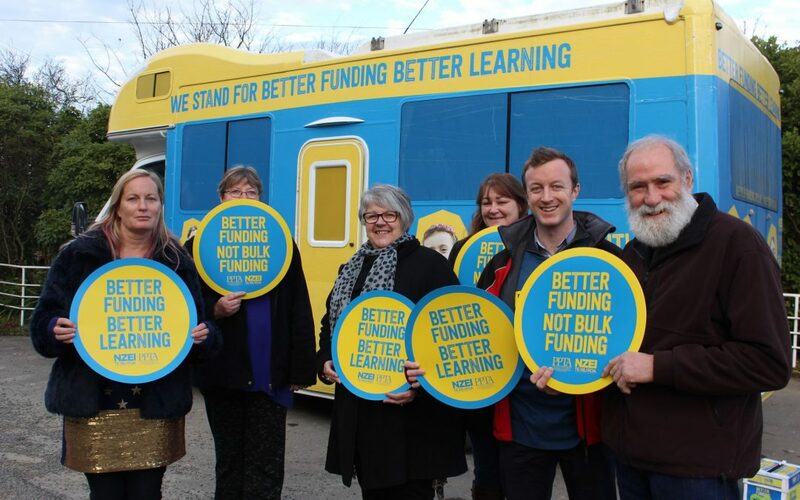 NZEI Wairarapa field officer Michelle Maguren went to the school with other NZEI staff yesterday morning, arriving in a bright blue and yellow bus bearing the words, ‘We stand for better funding better learning’. It was one of several school stops in Wairarapa as part of a nation-wide campaign tour promoting that message. “The operational grant is so grossly underfunded – there wasn’t any increase to it last year,” she said. “What we’re focusing on now is support staff, because every time they get a pay increase, that has to come out of the operational grant. She said the funding issue was particularly concerning for smaller rural schools. The campaign bus also stopped in Pirinoa, Kahutara, Dalefied, Whareama, and Tinui. It was to head to Mauriceville, Opaki, and Lakeview today. 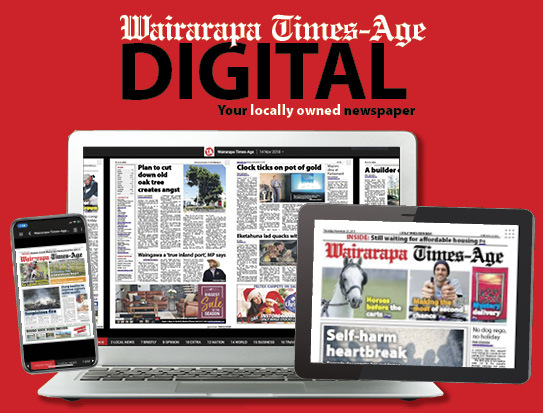 Wairarapa Labour Candidate Kieran McAnulty was following the campaign at a few stops in the Wairarapa electorate, including at Wainuioru, Whareama, and others in Dannevirke. He said the issue that particularly affected rural areas was the lack of adequate funding for special needs assistance. “It’s something I’m hearing right across the electorate that when there is a special needs child, it is unfair because it places a burden on that family as well as the teachers. 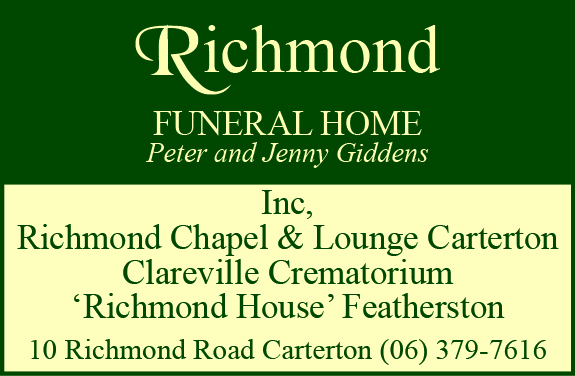 “I think most people would expect the government to step up and provide the funding they need. I write from UK: same problems, and, worse, we can show that long-term despite the costs small-usually rural- schools deliver profit to taxpayers. The Nat Assoc for Small Schools (NASS) has a substantial dossier of firm evidence showing the virtues of small schools academically, social and community AND economically. Problem is policy-makers are rarely interested in long-term benefits yet any self-respecting business would definitely calculate cost benefit analysis.